Dinosaur growing egg Toy. It is excellent for kids dino project. 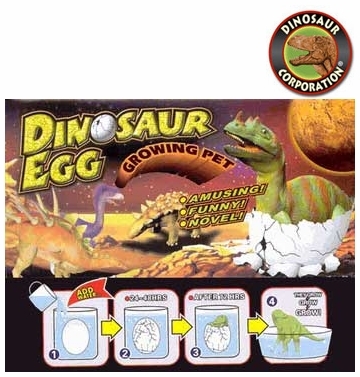 Hatching dinosaur egg pets toy. Have fun watching a growing baby dinosaur break out of its own egg! 3 inch (7.6 cm) large.